In 2014 Innis & Gunn announced that they would let fans of the brewery vote on the recipe for an upcoming brew. Fans voted on the style of beer, specialty malt, hop, type of cask the beer would be aged in, and the name of the beer. One fan who voted for each winning ingredient and beer name received an Innis & Gunn prize pack and would have their name appear on the bottle. I was one of the lucky four winners when I voted for Northern Brewer hops to be used in the beer. Innis & Gunn sent me a prize pack from their headquarters in Scotland. I emailed an image of my signature to appear on the bottle, and eagerly anticipated seeing the beer hit store shelves. The beer is to be called "Golden Gunn": a Scotch Ale, brewed with Caramalt like I used in my Geary's Summer Ale clone, Northern Brewer hops, and aged in Islay (Pronounced eye-lay) Scotch whiskey barrels. In the 16 months since the beer was announced a lot has been going on at Innis & Gunn. The company was founded by accident. The beer was brewed only to condition Scotch whiskey barrels. The plan was to just dump the beer once the barrels were ready. As it turned out the beer was excellent and a company was born. The company has slowly grown since 2003 and for the past year has been planning to open its own brewery. Golden Gunn is going to be one of the first brews made at the new brewery. Unfortunately that won't be until 2017. The folks at Innis & Gunn were nice enough to notify me and send me a second prize package with a couple of new brews. I understand that opening the brewery is their biggest priority, but 2017 is just too long to wait for me. I decided to brew the beer myself! The four ingredients were certainly a starting point. I made sure to use all of them in the recipe. From there I had plenty of latitude in designing my interpretation of a beer that hasn't been brewed yet: how heavy to make the beer, when to add the hops, type of base malt, and the yeast strain were open to interpretation. Most Scotch Ales are quite sessionable with the exception of a Strong Scotch Ale or Wee Heavy. Wee Heavy can range anywhere from 6.5%-10% alcohol by volume. All of the Innis & Gunn beers I have had are full-bodied, flavorful, but not too heavy. While researching and developing the recipe starting gravity of around 1.083 and 8% alcohol by volume (ABV) feels about right. As Innis & Gunn is a Scottish Brewery, the base malt I chose is all British barley. I used Maris Otter malt extract to give the beer a characteristic nutty British malt flavor. Brewing outside during a New England winter is not ideal. If I brew a big beer like this inside my kitchen, extract is just easier. With extract I am also guaranteed to hit my starting gravity making sure the beer doesn't finish too light. If I were to brew the beer with all grain I would have chosen a Scottish malt like Golden Promise. The only specialty grains are the Caramalt and a touch of Black Malt I added for color. Neither malt needs to be mashed like flaked grains or specialty malts high in protein. All I had to do was steep the specialty grains for 30 minutes to get flavor, color, and add a bit of freshness. Scotch Ale is a malt-focused style. Hop flavor is essentially non-existent. I did at a small amount of hops at 10 minutes left in the boil to give this beer some hop flavor. If fans are going to vote on a type of hop it seemed like the beer should have at least some hop flavor. According to the Wyeast website 1084 Irish Ale works really well in all Scotch Ales. I haven't used any of the Scottish strains that are out there, but they seem similar enough to 1084. Repitching yeast from BeerSmith's Irish Stout saves me time, money, and effort. I have no doubt it will work perfectly fine here. Islay Scotch barrels aren't exactly easy to come by for an American homebrewer. Even used American bourbon whiskey barrels are expensive and not particularly easy to work with. Oak chips, oak cubes and oak spirals can be used to replicate that wood character. Oak chips are very thin. They impart oak flavor the quickest, but it is a very one-dimensional flavor. For this batch I am using American oak cubes similar to what is used for scotch barrels. The thicker cubes should provide a more complex flavor. One Homebrewtalk user did the math to figure out exactly how many cubes to use. The cubes aren't uniform in size, but based on that post I guesstimated that 24 cubes, with an average one inch of surface area, would aproximate the surface area of the inside of a barrel. To replicate scotch barrel aging I will soak the cubes in the scotch before adding to the beer. This will sanitize the cubes, the wood will absorb flavor from the spirit, which will then be imparted into the beer. Islay is an island off the coast of Scotland and is one of the five recognized Scotch-making regions. Islay scotch is known for it's peaty and smokey flavor. Being completely unfamiliar with Islay scotch I am using Bowmore Tempest in the beer. At $32 a bottle it was the least expensive bottle of single malt Islay at the store. I couldn't bring myself to use a $50 or $100 scotch in a beer any more than I could use any expensive, single malt scotch in a scotch and soda. Premium spirits should be enjoyed neat or on the rocks. My scotch of choice is The Glenlivet 12. The peat is much more prominent in the Bowmore Tempest compared to what I am used to. The flavor up front isn't a complete departure, but the finish is a wall of peat. Drinking a couple fingers of the Bowmore by itself was an acquired taste for me, but one I grew to enjoy. I really think it will give the beer a unique, smokey quality. I will let the beer sit in the primary fermenter for two to three weeks. Then I will rack it onto the oak and scotch to age for another 28 days before bottling. I am so excited to try this beer I already designed a label and plan to label all of the bottles. They will look gorgeous in my (fictional) beer cellar, when I bring them to events, or give them as gifts. This past November I judged at the Best of Boston Homebrew competition. I wrote a post about the inaugural competition as I crammed for my Beer Judge Certification Program tasting exam. This years' winner will have his beer served on tap at Framingham Beer Works. The second annual competition was held at the future home of the Down the Road Brewery in Everett. I was able to sneak a peek at renderings of what the finished brewery will look like, and it looks like it will be another great spot for beer lovers in the area. I judged a variety of categories, but do not believe I tasted the winning brew. The folks at Beer Works conducted the best of show round on a different day and time, so I didn't get to participate in that. I am sure the beer will be excellent. If you are in the Metro West area next Wednesday, be sure to check it out. We are a retail shop in North Cambridge with pretty deep roots (26 years!) in the local community. This past November we held our 2nd Best of Boston Homebrew Competition. There were 180 entries evaluated against the updated, rigorous BJCP standards in 18 groupings. The best of each group advanced to a Best of Show round judged by the brewers at Beer Works. They have decreed Graeme Robinson of Stow the Best of Boston with his Double IPA! Rounding out the top three were Tyler McSorley of Watertown with an American IPA and Eric Esner of Woburn with an American Pale Ale. We are proud to announce that this year we raised $500 for our charitable partner, Ales for ALS™! We would also like to recognize Down the Road Brewery for hosting the judging event at their future home in Everett, MA. I have a couple big, high gravity beers in my pipeline. These beers are going to need a lot of yeast to ensure a healthy and thorough fermentation. If yeast is under-pitched, fermentation can lag which increases the risk of infection. There also may not be enough yeast to ensure a complete fermentation, and/or enough healthy yeast to clean up the chemical byproducts from fermentation. None of this is good. Typically I would use my stir plate, and prepare a yeast starter to build up enough yeast cells to pitch into the beer. My upcoming high-gravity beers are going to use the same yeast, 1084 Irish Ale. To make yeast starters for both of the beers I would have to make a starter, probably step it up again to have enough cells, and repeat for the second batch. That means I would have to spend four different weeknights boiling extract and cooling it down in an ice bath. Not exactly what I want to do after getting home from work or the gym. Instead I decided to make what I call a starter beer along the lines of Misplaced Bitterness, except this time I will do a full five-gallon batch. A starter beer is a low gravity beer that can be fermented by the yeast cells in the package without having to make a yeast starter. An ideal starter beer is also lightly hopped. Yeast harvested from a starter beer hasn't been stressed by a hoppy, high-alcohol environment and can be pitched into another batch since the environment in the starter beer is very similar to a yeast starter. A five-gallon starter beer will give me more than enough yeast for upcoming batches, and I have a batch of beer I can drink! Brad Smith, in addition to developing the BeerSmith Software, and BeerSmith Mobile (which I use to develop my recipes), hosts the popular BeerSmith Podcast and has a weekly blog. The BeerSmith Mobile app comes pre-loaded with two of his recipes. 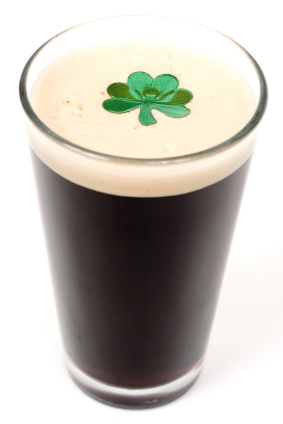 BeerSmith's Dry Irish Stout is one of his house recipes that he always has on draught at his home. Brad's tasting notes are, "One of my favorite stock beers - I always keep a keg on hand. Rich flavored dry Irish Stout that is very simple to make. Perfect every time!". Brad Smith has been brewing beer since I was in grade school. This should be an easy, fun, and tasty beer to make. The beer is very similar to Guinness Draught, if not an outright clone. A huge portion of the grist is unmalted flaked barley, and there is only one first wort hop addition. This stout should be very smooth. The major difference between what I am going to brew and a Guinness is that my beer will not be nitrogenated. With the right equipment you can serve homebrew on nitro. That is somewhere on my homebrew wishlist, but isn't an option at the moment. Nitrogenating beer was developed as a way to replicate cask ale in bottles and kegs. Like with the Welkin Ringer ESB clone I brewed, I will lightly carbonate the beer to try and replicate the mouthfeel and carbonation of beer out of the cask. A popular new method to replicate cask beer without an actual cask is using a polypin, a flexible plastic container that can withstand pressure. I obtained a one gallon polypin that I will use for this brew. It will be interesting to compare my beer on "cask", to a bottle of the beer, and to a Guinness Draught out of a nitro can. My plan is to bottle the other four gallons. I could also keg some of it if anyone I know is having a party on St. Pat's. A friend of mine stopped by a recently opened brewery on New Years Day. This establishment has several large televisions, none of which were on as the puck was about to drop for the Winter Classic. He asked his waitress if she could put the game on. Initially she said the TVs were for Patriots games only. When he explained what a huge event the Winter Classic is, the server said she would talk to a manager. The waitress gave my friend the good news, that her manager said that they would put the game on. When the game still wasn't on around ten to 15 minutes later, he asked his server again. She said they had to "fire up" the TVs. He had to ask a third time after which they game was finally on. At that time his server made a remark about how other patrons were having "great conversations", intimating that my friend should be doing the same. Somewhere along the line an attitude developed that beer should be a communal experience. That if you are enjoying a flavorful beer you need to be sat next to strangers at a long table or bar, and engaging in delightful and enlightening conversation. The image is almost Utopian. It is like Piano Man come to life! Modern conveniences like televisions and smart phones are the enemy because they inhibit this kind of social interaction. I don't understand, and don't want to understand why this forced social interaction has to be a part of the craft beer experience. I am sure some people enjoy sitting at a long "beer hall"-style table that forces them to sit next to strangers. All it does is remind me of the cafeteria at school, and the daily terror that was trying to find a place to sit. As an introverted person sometimes it takes time for me to warm up to people in a social setting. Making small talk can be more draining than extroverts can comprehend. There have been plenty of times I've shot the breeze with cool people, but sometimes I just want to get out of the house, have something to eat, and try some awesome beer. A game on a TV, or a social media feed on my phone is my way to do all of those things while being with myself. Not every trip to the bar has to be an episode of Cheers. 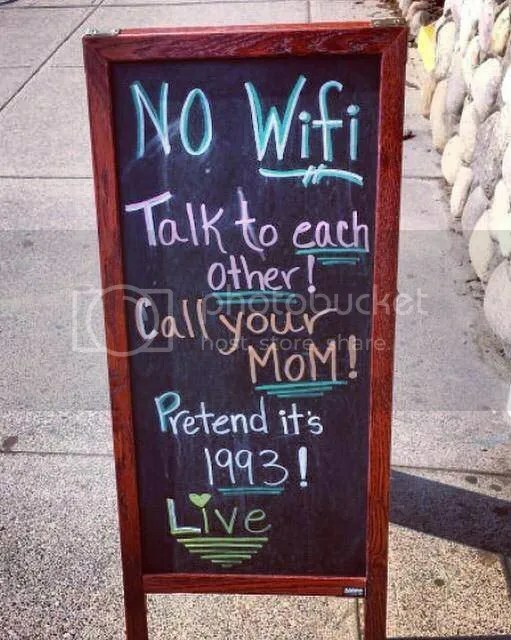 The sandwich board in the above photo boasts the lack of WiFi, and implores us to "live". For me, being forced into social interaction isn't "living". If a bar owner wants to create a certain vibe at their establishment, go for it. Just don't tell me how to "live". 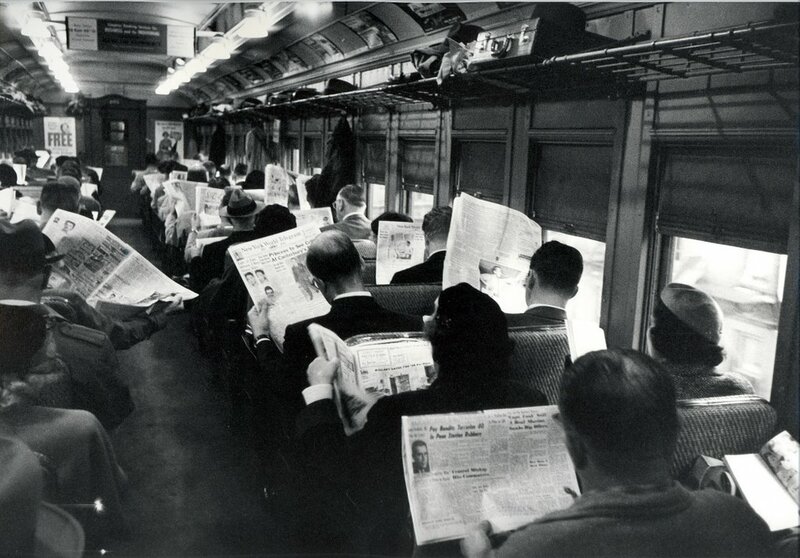 As a post-script, the notion that technology is making us more anti-social is a myth. "I don't want to wait... For our lives to be ooverrrr ...."
I'm sorry, every time I think about this beer that bit of 90s nostalgia pops into my head. The sad thing is, I never watched the show. My girlfriend, on the other hand, would drop me like a bad habit for Pacey if she could. The beer is named after Michael Dawson who formulated the recipe. He used to work for Northern Brewer, and was one of the original co-hosts of the popular web video series, Brewing TV. Having brewed as many different beers as I have I think I can design a recipe for almost any style. Belgian sours are uncharted waters for me. There are several strains of lactobacillus and pediocaccas that are available for purchase. I have no familiarity at all with any of them. For my first foray into sour beers a kit seemed like a good idea. Like some of the bigger beers I am planning to brew, a lambic like this will need months to age. It probably won't be ready to drink for over a year. Authentic commercial versions are soured naturally by being open-fermented, which allows the naturally occurring organisms in the air of the Senne River valley to sour the beer. It's not unlike making sourdough bread. These microbes or "bugs" are what makes the beer. The kit comes with Wyeast 3278 Lambic Blend. Per the kit's instructions, "...Contains a selection of Saccharomyces cerevisiae which includes Belgian style wheat beer yeast, sherry yeast, two Brettanomyces strains and lactic acid bacteria. While this mixture does not include all possible cultures found in Belgian lambics, it is representative of the organisms which are most important for the desirable flavor components of these beer styles." Basically pitch the smack pack and let it rip. Michael Tonsmeire, who literally wrote the book on sour beers, suggests adding additional microbes, such as the dregs from other sour beers. Sounds easy enough to me. I added some of the dregs from a bottle of Shareholders Saison and a Boulevard Brewing Saison Brett (2013). The grist in a lambic is usually pilsner malt and flaked wheat. The kit came with Pilsen and Wheat dry malt extract.There are no specialty grains to steep. The dry extract will help the beer finish lighter in color than it would with liquid extract. Lambic has no hop flavor or aroma, just a small amount of hop bitterness. The kit came with Hersbrucker hops with a paltry 1.9% Alpha Acid content. To put that in perspective some modern American varieties have ten times the bittering power. Traditionally aged hops, hops that are two to three years old, are used to ensure no hop flavor is found in the beer. After rummaging through the freezer in my beer fridge I found some Nelson Sauvin hops that are around two years old. I calculated that 0.2 ounces of the aged Nelson hops will give the beer just enough bitterness. Unlike the brewer's yeast in the yeast blend, the assorted bugs work a lot more slowly. This beer can sit in the primary ferementer for up to a year. I think I will give it six to nine months. According to what I have read the beer should be kept at a fairly constant temperature of around 68F. Seasonal changes in temperature are okay, but wild swings aren't advised. The landing leading up to my apartment is the coolest place in my apartment, and the temperature is pretty stead. It's directly under the air conditioner during the summer, and isn't near a baseboard in the winter. The first 70F day this spring, the air conditioner is going in just to be safe. The kit came with two cans of cherry purée to add during secondary fermentation. The instructions suggested racking to a six gallon carboy for secondary fermentation to ensure there is enough room for the fruit and the beer. I may fill up a five gallon carboy as high as I can with the fruit and beer, and then just bottle the rest without blending it with the cherries. This will give me about a gallon of regular lambic, and four gallons of fruit lambic. Unfiltered and unpasteurized beers are truly living organisms. It is especially true with a wild or sour beer like this. These are beers that will change and evolve in the bottle over a period of months and years. I expect the cherry flavor to fade as the beer ages, and the flavors the bugs produce to become more prominent. Another Belgian sour ale style, gueuze, is made by blending different lambics together. Lambic will change as it ages, blending old and young lambics into a gueuze combines a variety of different flavors. To make a gueuze, you need to start with a lambic. This kit is a start for me. In six months or a year I can brew a sour beer of my own. In a couple of years I can try blending them and creating a gueuze of my own. On a commercial scale, brewing is sometimes called "yeast farming". Commercial brewers are continually monitoring their yeast, brewing batches to keep their yeast samples viable, and refresh their yeast bank. On a homebrew scale it is easy enough to buy new yeast, but it is possible to manage your inventory to save that expense. That was the genesis of this brew. The 1272 American Ale II yeast in my yeast bank was harvested last March. At best ten percent of the cells in the jar are viable. I loved what the yeast contributed to Camp Randall Red IPA and the Blueberry Wheat kit that I brewed. I want to re-brew Camp Randall Red and potentially use 1272 in another batch, but it will take some work to step up the number of yeast cells to even brew a two or three gallon batch. A stir plate spins liquid via a spinning magnet, which causes another magnet inside of the flask called a stir bar to also spin, causing the liquid in the flask to stir. The stir bar is roughly the size of a pill. They are small and very easy to lose. I have managed to lose three of them already. The next time I buy ingredients I will buy a new one and a backup, but in the meantime I have to do without. The continuous stirring aerates the wort causing the yeast cells to multiply much more rapidly than they would otherwise. What that means is that I have to make a larger volume yeast starter to end up with the same number of yeast cells. The older yeast is, the less viable that it is. A six month-old package of yeast that originally contained 100 billion cells will only have a fraction of that number of cells. A best practice is to use yeasts every few months. That way you can continuously harvest new, healthy cells. If I would need to eventually step up to a huge yeast starter as opposed to my usual 1200-2000 ml, I may was well brew a one gallon batch of beer. From there I designed a light, low gravity, low alcohol, and lightly hopped recipe that would not stress the yeast I plan to harvest from the beer. I started putting together an English Bitter (English Pale Ale) recipe that utilized leftover ingredients from previous batches. Most of the ingredients are American. American Ale Yeast II shares some attributes with English yeasts. The only English ingredients are the hops. This won't be a perfect example of the style. It may end up tasting more like a very low alcohol American Pale Ale. To have enough cells to properly ferment this low volume, low alcohol batch, I had to make a small yeast starter just for this batch. After being dormant for so long, it took the yeast longer than usual to start fermenting the starter wort and multiplying. My starting gravity was a little low, so I added one ounce of corn sugar to compensate. The beer should still finish under 4.0 % alcohol-by-volume. This beer is similar in strenguld use to make a yeast starter. The hopping is hopefully low enough as to not stress the yeast. Active fermentation was visible after only a few hours. After just a week I will bottle the beer and harvest the yeast. I will then pitch that yeast into another yeast starter to brew the next batch of Camp Randall Red IPA, and have fresh cells leftover to replenish my yeast bank.